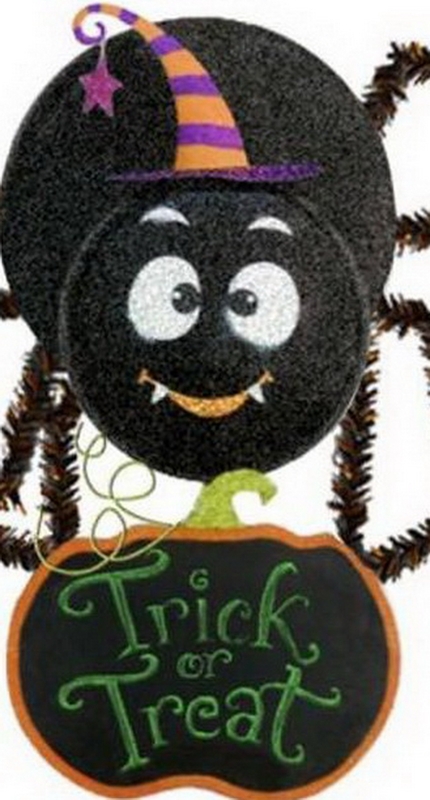 A big friendly Spider adds whimsy to the Halloween season. This boy comes with its own bag of chalk to customize the board any way you like. Boy features a fun Witches hat in purple and orange. 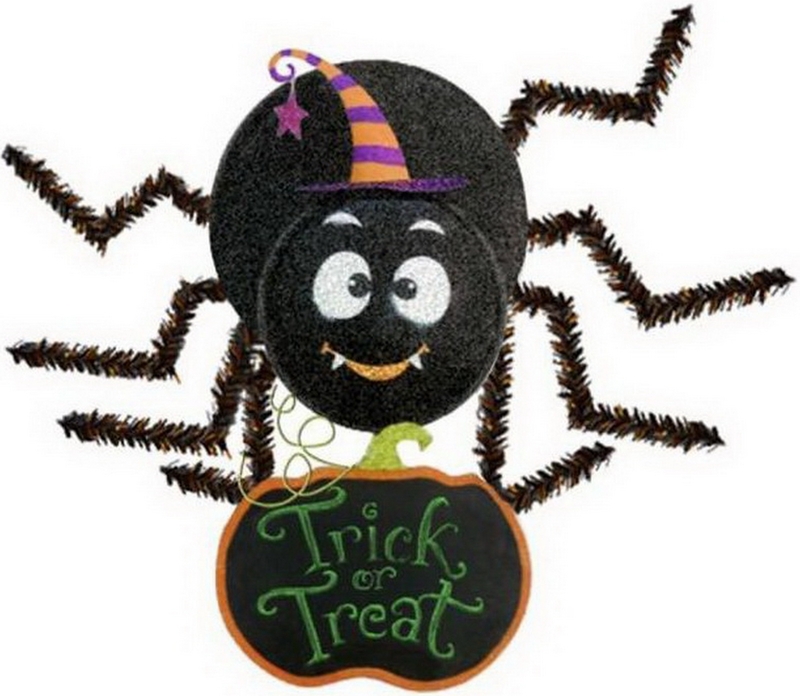 Spider boy holds a great pumpkin shaped chalkboard in its tinsel legs for displaying your greetings.